This is hypnosis session by Jan Duncan is designed to bring out to bring out the best in any woman! It will help make you feel happier, healthier and more driven to achieve your goals. 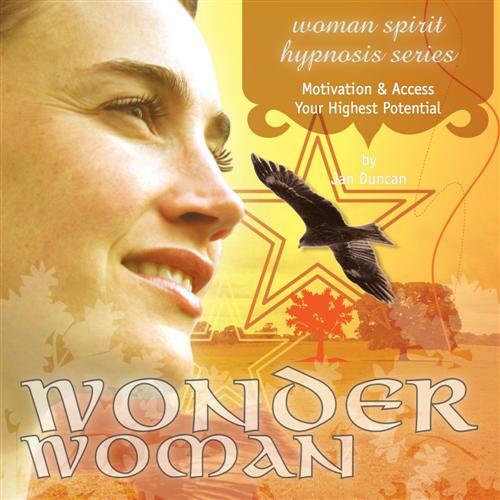 Intended for women only, this program is available on CD or MP3 and contains a professionally recorded hypnosis session by Jan Duncan. It will empower you on a deep subconscious level and allow you to easily make positive changes to your thoughts, desires and outcomes. If you feel like you are living your life for other people rather then for yourself, this program will help you turn that around. It will help you become a strong independent woman who is not afraid of reaching for the stars! This program is particularly effective if you are shy or introverted! It will help you become confident, dynamic and never outspoken. Jan Duncan is an experienced hypnotist who specialises in using this powerful therapy for women. Simply sit back, listen to the recording on a daily basis and float away with Jan's divine voice and relaxing theta frequencies for some special 'You' time every day. This recording contains Rick Collingwood's patented Neurosonic Frequencies for maximum relaxation benefits. Jan is also officially trained in hypnotherapy by Rick. This means you can rely on this product being a completely effective and safe recorded hypnosis session.